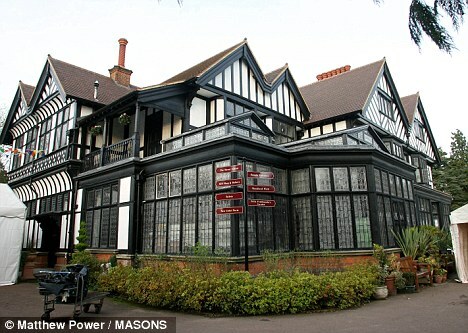 Nevada (US), Feb 11: A three-day public inquiry has reportedly been ordered against former Beatle George Harrison donated Bhaktivedanta Manor Temple over a temporary wedding marquee by Hertsmere Borough Council in England. 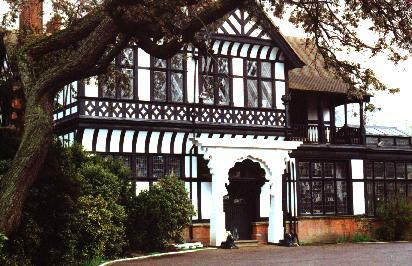 Since 1973, when George Harrison donated the Manor building and estate, village residents have been reportedly complaining against the Manor; and its congregational community, largely Hindus, have been protesting. In 1994, temple was reportedly ordered to close for public. It is claimed that one hundred members of British Parliament joined the list of supporters of the Temple at one time. George Harrison is said to have once chanted "Hare Krishna" mantra for 17 hours non-stop on a car journey from France to Portugal. 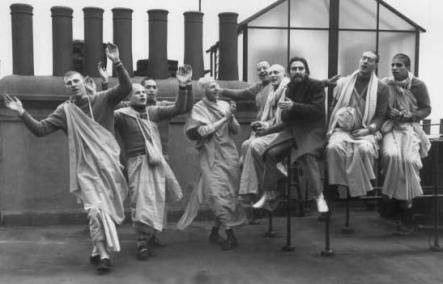 In 1970, George produced the Radha Krishna Temple album with the devotees, a track from which featured in the top ten record sales in that year. Just before Srila Prabhupada, founder of Hare Krishnas, died in 1977, he is said to have removed the ring on his right hand and said to the disciples around him, "This is for George, give it to him." Notable Hindu statesman Rajan Zed, in a statement in Nevada (USA) today, urged Manor area residents and councilors to show more tolerance and acceptance of "others" who appeared different. Zed, who is President of Universal Society of Hinduism, further said that a broader and more inclusive understanding of religion was needed as we all knew that religion included much more than one's own experience or particular tradition. Existence of different religions was a positive sign of God's generosity. Rajan Zed also urged Dr. Rowan Douglas Williams, Archbishop of Canterbury, to come out in the support of this Hindu Temple, as being head of the majority Church of England, it was his moral duty to take care of the minority, and despite our seriously different traditions, we should learn to live together in mutual trust and loyalty. This public inquiry will start on February 15 at Hertsmere Borough Council's Civic Offices. Manor is reportedly appealing against the refusal of summer wedding marquee. A Manor release says: "For well over ten years we have facilitated wedding services in the marquee, taking pressure of our small temple room and the conflict that occurs between public worship and private services...it is the only marquee in Hertsmere Green Belt to be refused". Residents previously reportedly complained about noise levels coming from the marquee, put up every summer since 2002 at the Manor estate, presence of which was said to be first recorded in 1261. This Hindu temple, one of ISKCON's (International Society for Krishna Consciousness) most prestigious, is located in Aldenham near Watford in borough of Hertsmere and county of Hertfordshire in East of England (United Kingdom). Besides a temple, it also runs a College of Vedic Studies, primary school, and pre-school. It has organized a farm based on "traditional principles" and has a Goshala with 46 cows and oxen basing on "symbiotic relationship between men and cows". It provides comprehensive wedding services with vegetarian meals and Sanskrit shlokas, and calls it a "transcendental religious experience". Its daily activities start with Mangal Arati (singing of prayers) at 4-30 am, and include circumambulations around Tulsi (holy basil) plant, with temple closing at 9-30 pm after Shayan Arati. Manor claims itself "a God-centred community which gives refuge to people from all walks of life" and a rural retreat which "serves as a window to Vrindavan, Lord Krishna´s eternal home".